A free health check-up camp was held at Kashyem Village under Algarah Block today. 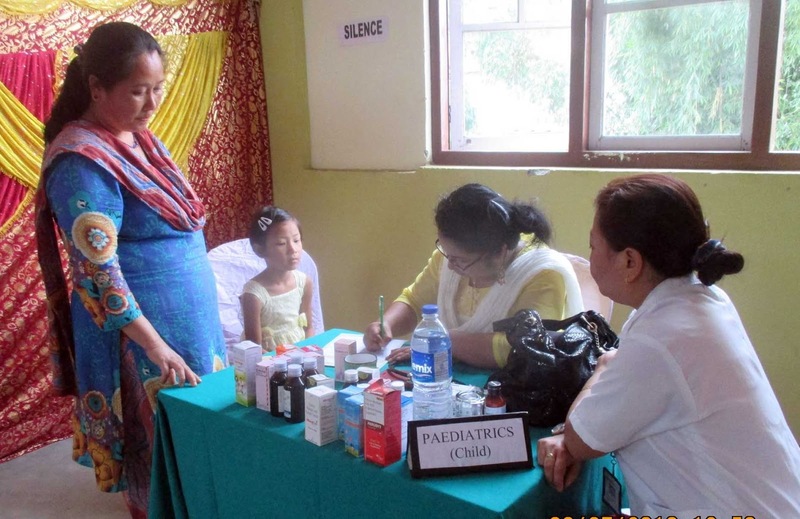 It was being organized by the Cinchona Yuwa Pariwar in association with Doctors from Siliguri Neotia Getwell Health Centre, who checked around 150 patients present. Blood Sugar test was conducted during the same. A team of 3 specialist doctor of the Clinic was present who were assisted by their medical staff. Such Camp has been organized in the area for the first time as all the local of this area depend upon Munsong health centre run by Cinchona and health department. The Pariwar president Samit Tamang thanked the Centre and presented a thanks giving letter to the whole team. Meanwhile the Pariwar today felicitated Jyoti Karki a social worker for the help she has provided to emerging local organization of the area. 0 Respones to "Health Check up at Kashyem"